No sewing necessary! 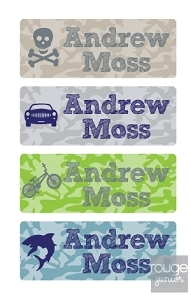 Adorable set of mini name labels (1.25"x0.5") in a smooth, itch-free iron on material. Perfect for labeling school uniforms, jackets, sweaters, clothing, summer camp gear, cloth diapers, tote bags...anything that leaves the house! 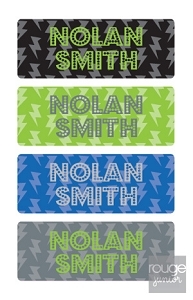 Personalized with any name or a name with phone number. Labels are permanent, and can be machine washed and dried! No sewing necessary! 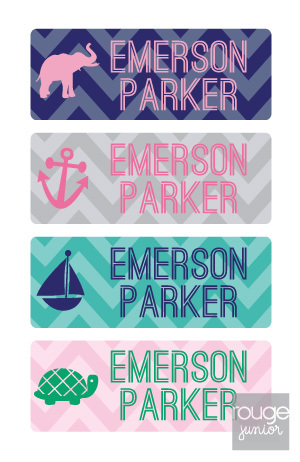 Adorable set of 36 mini assorted name labels in smooth, itch-free iron on material. Perfect for labeling school uniforms, jackets, sweaters, clothing, summer camp gear, cloth diapers, tote bags...anything that leaves the house! Mini iron on name labels, each sized 1.25"x0.5"
Our clothing labels are designed for a wide range of cottons and cotton-poly blends; they are not guaranteed to adhere to every type of fabric. For best results, read and follow instructions step-by-step. Contact us for samples to test on specific fabrics.